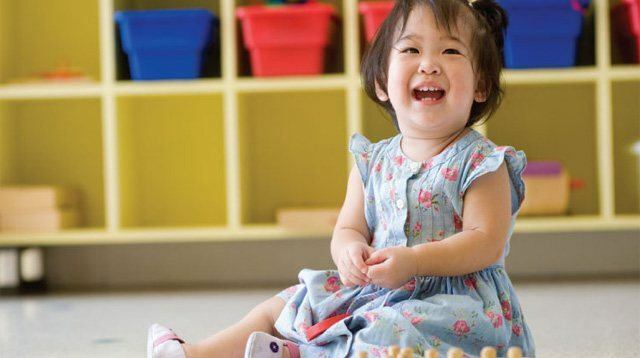 Celebrate the Chinese New Year, go to a baby fair, shop at a bazaar and more! Cheer for the Chinese New Year! Celebrate the Year of the Fire Rooster! 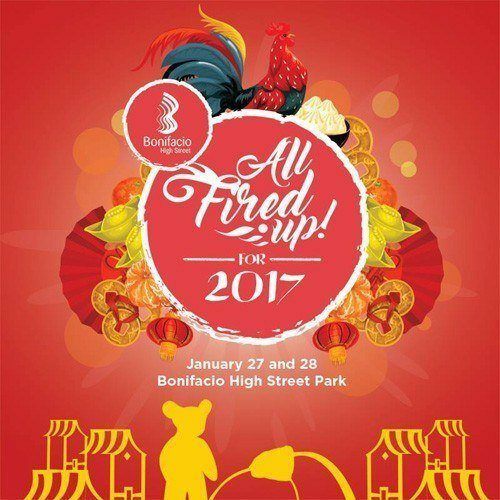 All Fired Up at Bonifacio High Street Park will have lion and dragon dancers, one-on-one fortune reading, Chinese musical perfomances, an art exhibit, and predictions from psychic and master reader Robert Rubin. The event is happening this Saturday and Sunday, January 27 to 28, at Bonifacio High Street Park, Taguig. 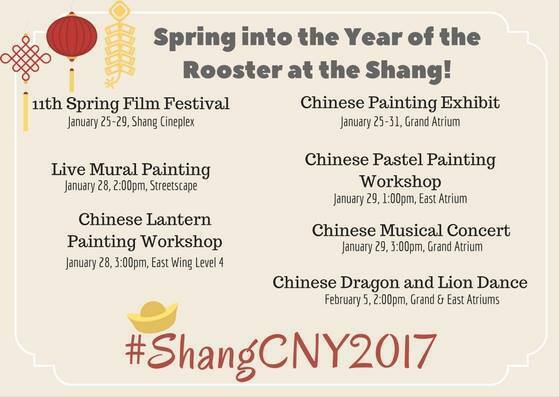 Shangri-la Plaza is also celebrating with loads of festive activities like a film festival, art workshops, musical concerts and, of course, dragon and lion dances. The event is happening from January 25 to February 5 at Shangri-La Plaza, Mandaluyong City. See the poster above for details. 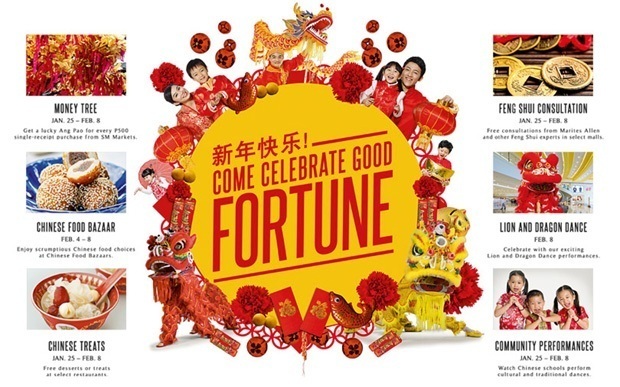 Head over to SM malls where they’re celebrating good fortune with a money tree, Chinese food bazaar, free feng shui consultation (in select malls), lion and dragon dances, and school cultural and traditional performances. The event is happening from January 25 to February 8. Here’s to the new year! It’s that time of the year again! 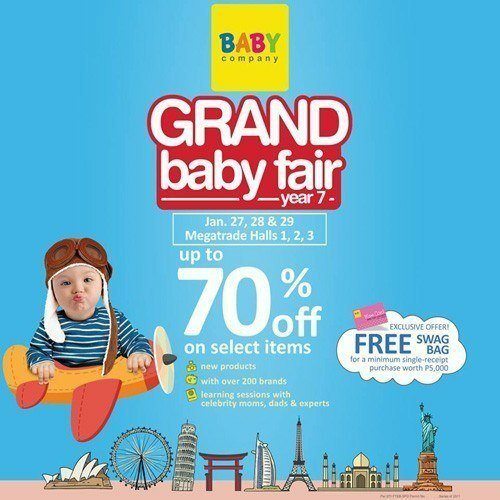 Baby Company is having its Grand Baby Fair this weekend, January 27 to 29 at the SM Megamall Megatrade Hall, Mandaluyong City. 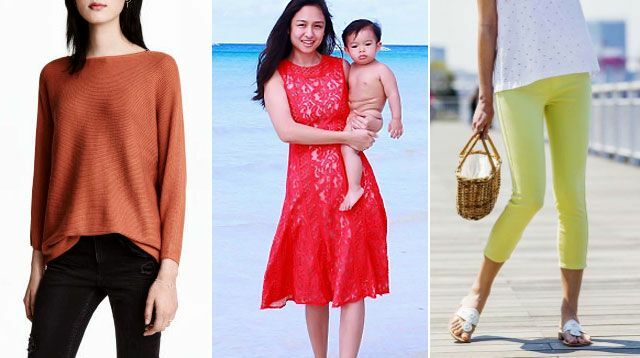 Get up to 70% off on all things baby and kids from over 200 brands. 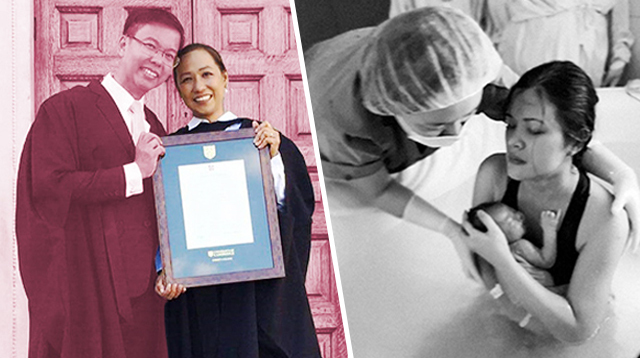 Plus, expect activities for kids, and parenting talks from experts and celebrity parents including Iya Villania-Arellano, Chynna Ortaleza and more. 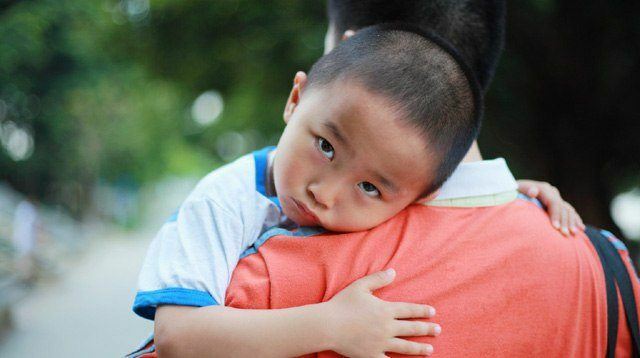 Looking for some inspiration for your kids? 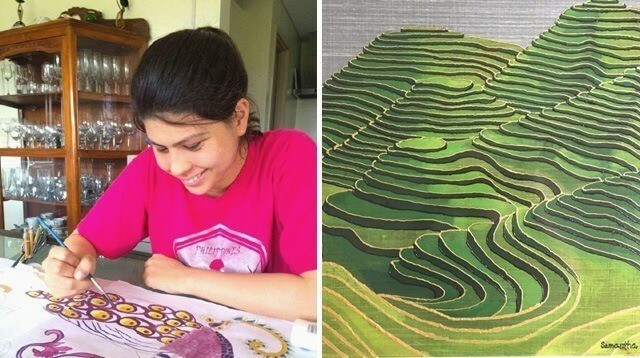 On January 28 at the RCBC Plaza, Makati City, the Center for Possibilities Foundation (CFP) is staging an exhibit that features 40 artworks of Samantha Kaspar, a 19-year old with autism. Proceeds from Samantha’s auction from her exhibit will be used to fund her trip as one of eight special needs artists flying to New York for the World Autism Day in April. Find more details and read about Samantha on our feature here. Need to unwind? 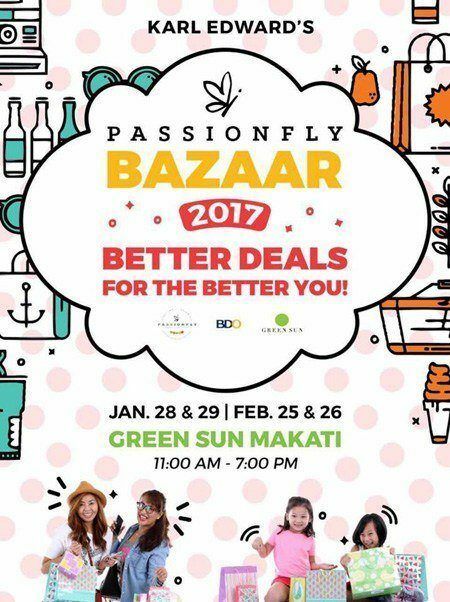 The Passionfly Bazaar is just the thing. They've got the best in fashion and food along with fun activities and workshops all set up for you this Saturday and Sunday, January 28 and 29, 11 a.m. to 7 p.m. at The Axon, Green Sun, Makati. You don't have to worry about bringing cash too, the bazaar accepts credit cards. 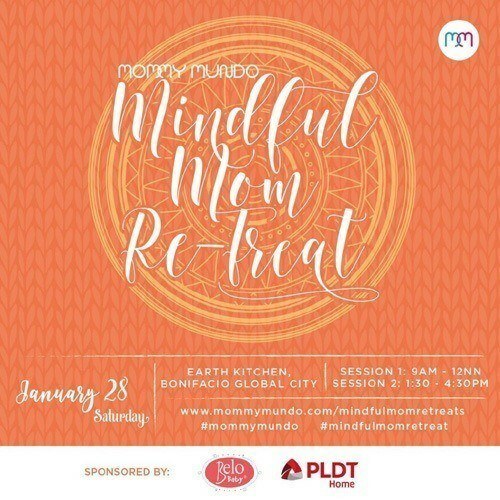 Spend some quality me-time this weekend by going to Mommy Mundo’s Mindful Mom Re-Treat. For a few intimate hours, nourish your mind and heart through reflective and immersive activities. The event is happening on Saturday, January 28, with the first session at 9 a.m. and the second at 1:30 p.m., at Earth Kitchen, Bonifacio Global City, Taguig. Participation fee is P800 inclusive of snacks. Pre-registration is a must. To register, text 0908-865-7245 or click here. 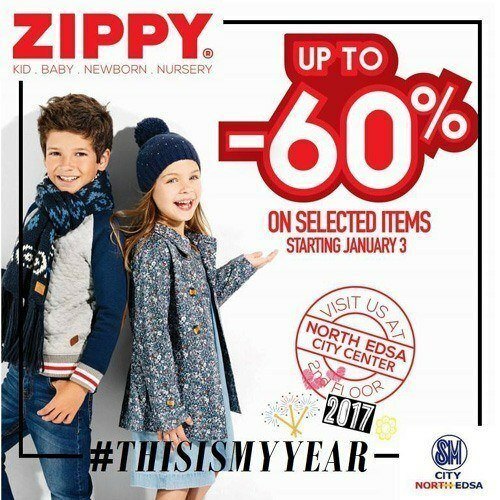 Zippy, a store with items for newborns to kids, is on sale with items up to 60% off now until February 15. Not just at SM North Edsa too, check out their list of branches here. Does your home need a little TLC? Furniture and home items are on sale up to 50% off at SM Home in SM Department Stores until February 5. 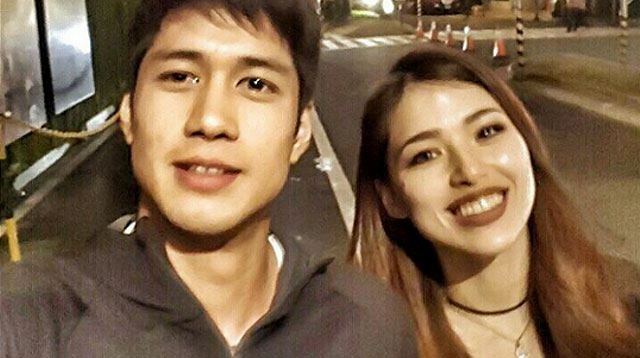 Kylie Padilla and Aljur Albrenica Are Engaged!